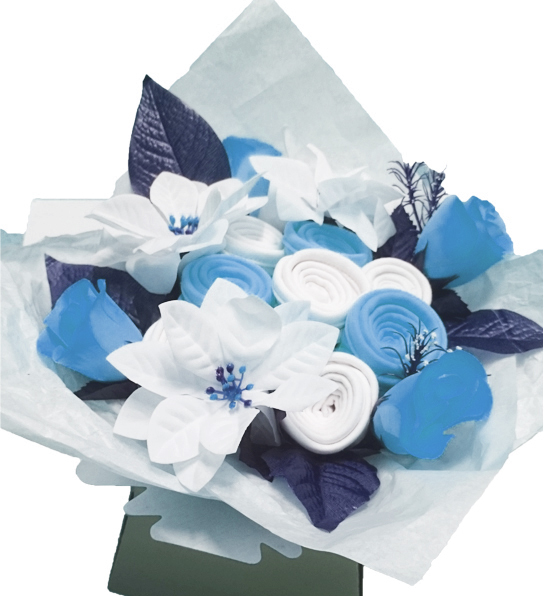 This lovely bouquet contains hand crafted baby clothes rolled and wrapped to look just like a bouquet of flowers. 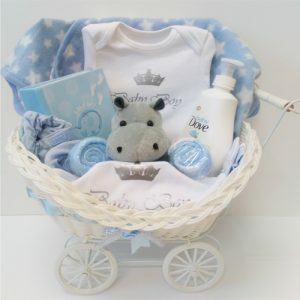 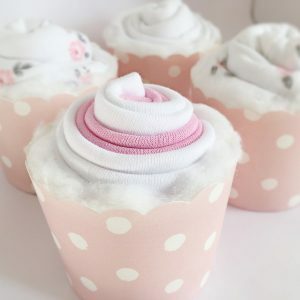 A unique, beautiful yet practical gift perfect for baby showers or a new baby arrival. 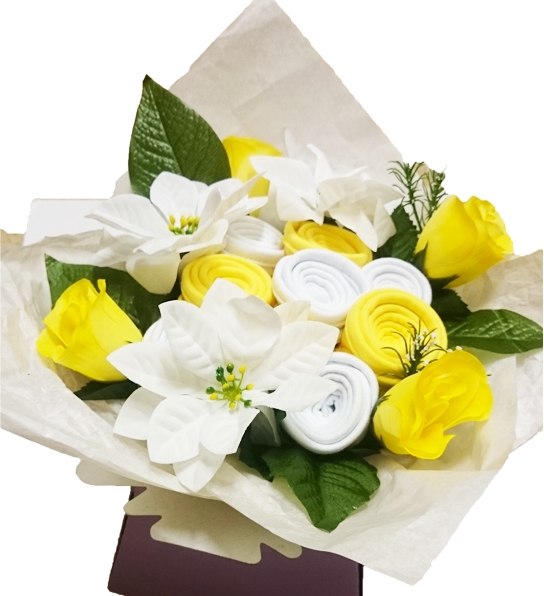 The arrangement contains socks, mittens, bodysuits, BibEasy bibs and artificial roses and greenery to look just like a pretty bouquet. Presented in a floral box, gift wrapped in cellophane with ribbon. 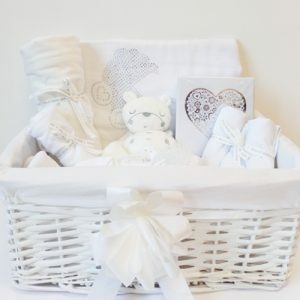 Please contact us if you would like to add/remove any items.